Royal Fence, Inc. is your top choice for fence installation and replacement service for residential, commercial, and industrial properties throughout the western suburbs of Chicagoland. With over 30 years of experience in the fencing industry, Royal Fence offers the best quality fencing materials and guarantees our craftsmanship and labor. We understand that each property has unique needs and every customer has budget expectations, so we pride ourselves on making our pricing flexible to best address the needs of each project. No matter what type of fence you choose, Royal is dedicated to providing exceptional customer service aimed at exceeding your expectations. We provide accurate quotes onsite or over the phone for your convenience, and our service professionals will be with you every step of the project to address any concerns you may have. Our materials are all made in the U.S. by local suppliers including Master Halco, Merchant Metals, Eagle Fence, and more. Our fencing products are never purchased from big box retailers that mark up the price for materials regardless of project size and provide disappointing quality. In the rare occasion that there is an issue with any of our craftsmanship or materials used in our projects, we guarantee that the problem will be fixed free of charge within the granted time frame of the warranty. At Royal Fence, our commitment to safety is absolute. We are insured and bonded in all of the towns within our service area, and we regularly work with J.U.L.I.E. to ensure that underground cables are flagged and marked before the start of any fence installation or replacement project, and also to ensure that no cables were damaged or disturbed upon the project’s completion. During fence projects, we’ll provide a complete inspection to assess the existing fence’s level of safety and sturdiness to eliminate potential risks to your property and personnel. If you’re ready to discuss your next project with the fencing experts, give us a call at 847-531-5635 today! 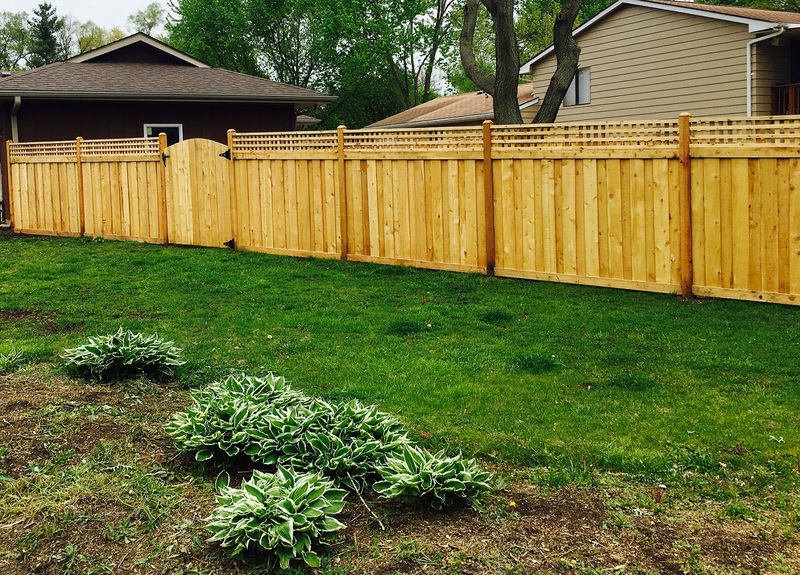 Located in South Elgin, IL, Royal Fence provides experienced fence installation and replacement services to Elgin, Schaumburg, Algonquin, and more.